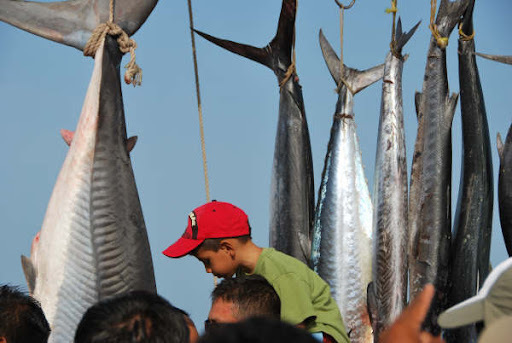 Puerto Morelos Blog: Puerto Morelos Fishing Tournament and Navy Day Celebration! Today thru Tuesday! Puerto Morelos Fishing Tournament and Navy Day Celebration! Today thru Tuesday! Be sure to stop by Puerto Morelos this weekend! We are in the middle of our annual Fishing Tournament and Navy Day Celebration! Boats leave today (Saturday) morning at 8 a.m. from the P.M. Dock. They must return by 5 p.m. So be to the docks around 4:00 to start seeing the amazing weigh-in of their trophy catches. Tomorrow (Sunday) boats must be back by 2:00 p.m. Meanwhile, there are LOTS of events going on Saturday, Sunday, Monday, and Tuesday! Beach Volleyball, Beach Soccer, Sand Castle Building, Swimming Contests, Biking Contests, and lots more. Dances are in the square at night!